Designed by the world renowned architect Frank Gehry, Guggenheim Museum is one of the best examples of contemporary architecture. Its amazing design is not the only thing that attracts thousands of visitors each month but it is also the exhibits of iconic artworks by Spanish as well as the international artists. 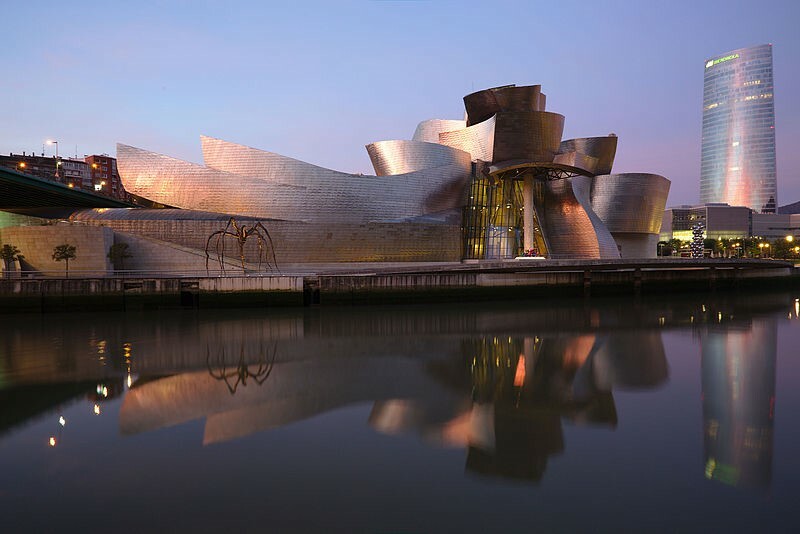 Situated on the banks of the Nervion River, the Guggenheim Museum is one of the largest museums in Spain. It is hailed worldwide for being a heraldic achievement in architecture. 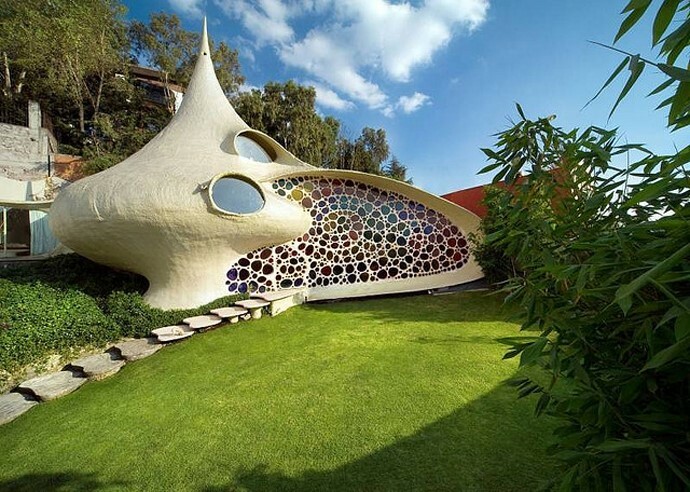 The Nautilus House located in Mexico City, Mexico takes design inspiration from the marine mollusk Nautilus. The building is a unique blend of contemporary art and modern architecture. The Mexican architect Javier Senosiain based his piece of architecture and art on The Golden Ratio. The construction of this unique project was completed in 2007. The furnishings are a part of the same house, making its inhabitants feel just like living inside a shell. Designed by the architect duo Mihail Vinogradov and Victor Kramarenko, the National Library is situated in the city of Minsk in Belarus. 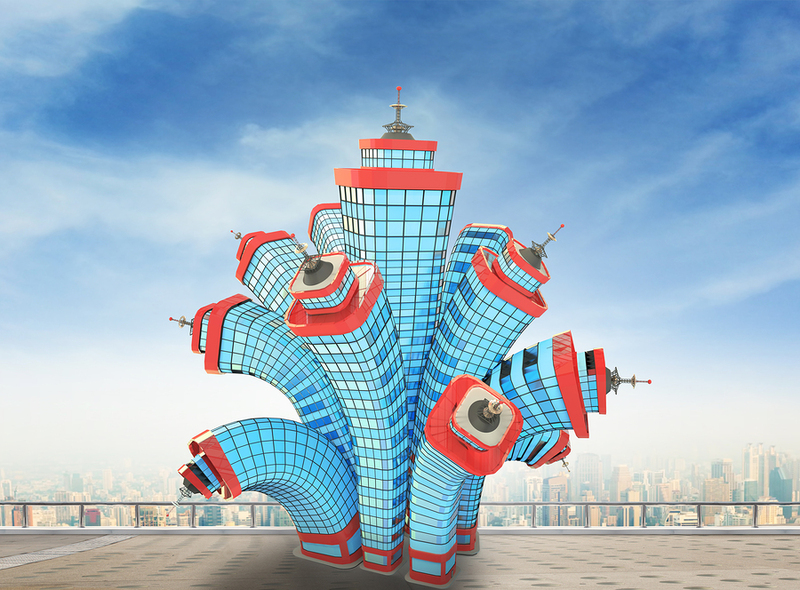 This amazing seventy-two meter tall building comprises of twenty-two floors. The library accommodates two thousand readers as its huge conference hall has the capacity of five-hundred seats. 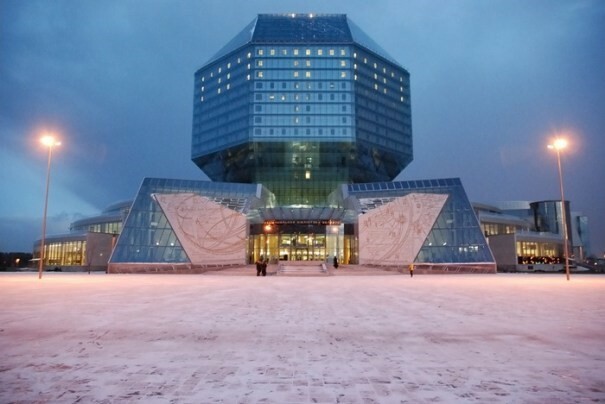 It houses the largest collection of printed material in Belarus and the third largest collection of books in Russian. Its unique rhombicuboctahedron shaped building is one of a kind and its blue aura at night time has become iconic for the Belarusian capital. Abbreviated as NCPA and also known as the National Grand Theatre, the National Centre for the Performing Arts is located in Beijing, China. Due to its ellipsoid dome, it is commonly referred to as ‘The Giant Egg’. It’s made using majorly titanium and glass which is surrounded by an artificial lake. It has the capacity to accommodate as many as 5452 people in three of its halls. NCPA was designed by Paul Andreu, a French architect. The first concert in this awe-inspiring opera house was held in December 2007. If you ever happen to visit Beijing China, NCPA is a good sight to visit with the added value of great entertainment. The cubic houses are a set of innovative houses based in Rotterdam, Netherlands. As the name suggests, the houses incorporate the cubic shape and elements in its plan and facade. They were designed on the concept of “living as an urban roof”. The primary objective behind building these unusual houses was to optimize the space inside. These houses are tilted 45 degrees and rest upon a hexagon-shaped pylon. Houses built on a similar design were also constructed in Helmond, Netherlands between 1974 and 1977. 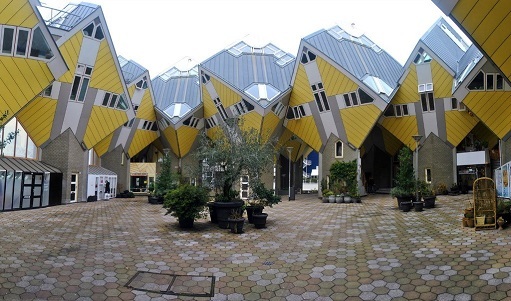 For anybody who’s visiting Netherlands, the cubic houses are a must-see thing. Amer Adnan Associates, the innovative construction company in Lahore, is a believer and motivator in creating a lifestyle through its architectural spaces. We design, build and remodel buildings by integrating elements of modern contemporary. Stay tuned to our blog, as next week, we’ll be exploring another venture in the creative world of architecture and construction.